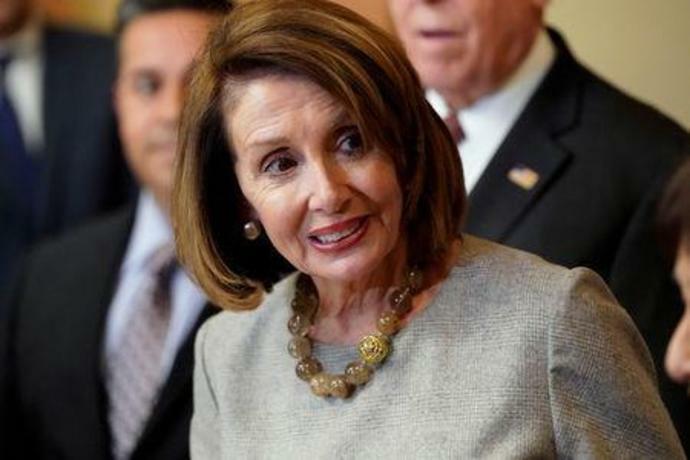 WASHINGTON (Reuters) - U.S. House of Representatives Speaker Nancy Pelosi on Thursday said there would not be any money for President Donald Trump's proposed wall along the U.S.-Mexico border in the deal being worked out by a bipartisan negotiating team. Asked by reporters about Pelosi's comment on wall funding, Trump said: "Without a wall, it doesn't work." "I've got you covered. Wall is already being built, I don't expect much help!" Trump wrote.